Through our Facebook community, local rides and cycling events, we strive to promote and grow cycling and bicycle tourism within the Joplin and regionally with neighboring clubs and events; through awareness, activity, advocacy and reward. 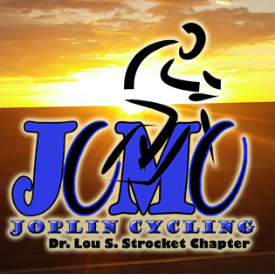 No upcoming events hosted by Joplin Cycling at this time. Normally there are group rides on Thursday and Sunday. These and other activities are posted on our Facebook page. If you have a specific skill or distance to train for, please let us know.